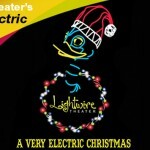 This one-of-a-kind University Theatre production, best for ages 6 and up, features UA actors and local children and is filled with dancing and an original score. 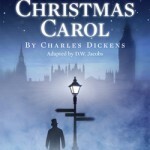 A Christmas Carol tells the story of a miserly old man, Ebenezer Scrooge, who believes that Christmas is just an excuse for people to miss work. The performance includes seven major characters including the three ghosts who visit Scrooge at night before Christmas. The three ghosts show Scrooge the error of his “money-over-people” attitude, just in time for Scrooge to realize his faults and promise to change his ways. The ghosts will be portrayed by life-size puppets designed by Patricia J. Martin, University of Arkansas Professor. Each ghost is operated by one or two actors. The cast members consist of 30 individuals, including 11 children ranging in ages 8-12. Director Michael Landman says, “This is a tale of communing with others, finding the joy of sharing, and the deep importance of family and friends. The kids are essential to telling that story. And, of course, they’re adorable.” In fact, several local children and adults were are in the play. How to enter: You’ve only got until Tuesday night to win this one! Just comment on this post or send us an -email (mamas@nwaMotherlode.com) and we’ll choose a winner at random Tuesday evening. We’ve got to move fast since the show is over the coming weekend. 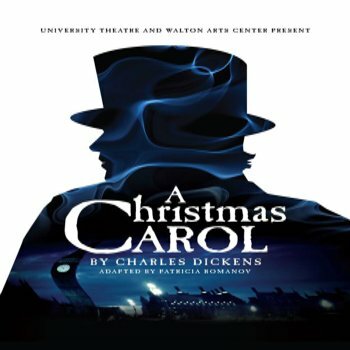 Co-produced by the Walton Arts Center, the show will feature four public performances (you get to pick the date and time your family would like to go): Friday, Dec. 5 at 7 p.m., Saturday, Dec. 6 at 2 p.m. and 7 p.m., and Sunday, Dec. 7 at 2 p.m. Tickets range from $14-$22 and are available by calling the Walton Arts Center at 479-443-5600 or online at waltonartscenter.org. 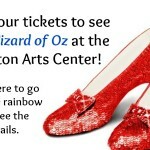 Magic Show Ticket Giveaway! And Pizza, too! I would love to win the tickets. We would love these tickets. Our family would love to see the production! 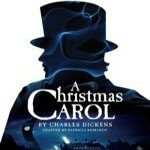 Please enter me in the Christmas Carol giveaway!!! Thanks! I would love to get to go! I just heard the ad for this on the radio and it sounded like fun. Please put me down for this. Thanks! I would love to take my boys to this and if we win I will. We can’t afford it or much this year. This was one of my favorites as a child!! I would love to win this for my family!! Please enter me for the drawing. Thanks!